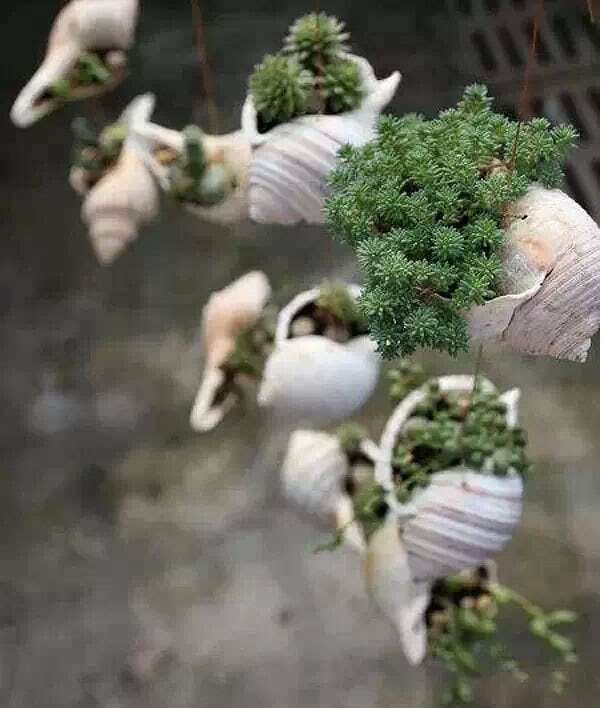 Sea shell planters are creative ways to show off plants. You can tuck smaller succulents and use them as a centerpiece of your home. 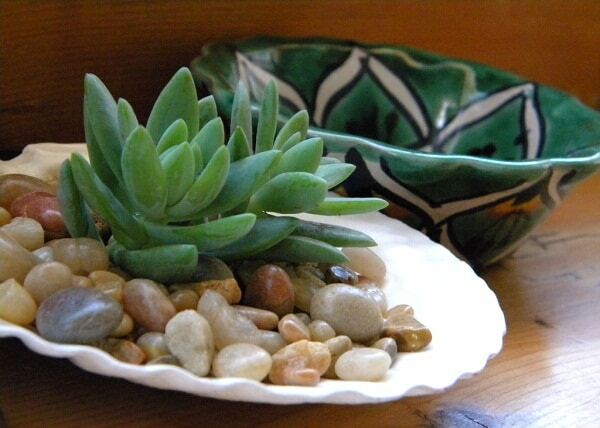 Succulents are planted in a large shell and filled with tiny gravels. 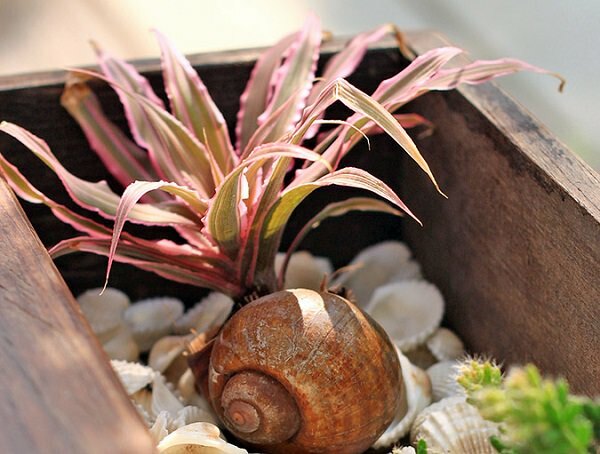 Tuck an air plant into the shell opening and lightly mist once a month. 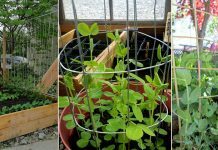 The plant should not be forced into the shell, but rather loosely positioned to allow for good air circulation. Read more on Yankee magazine. “Little Jewels” succulents planted in a big clam shell. You can also use faux plants instead of real ones. 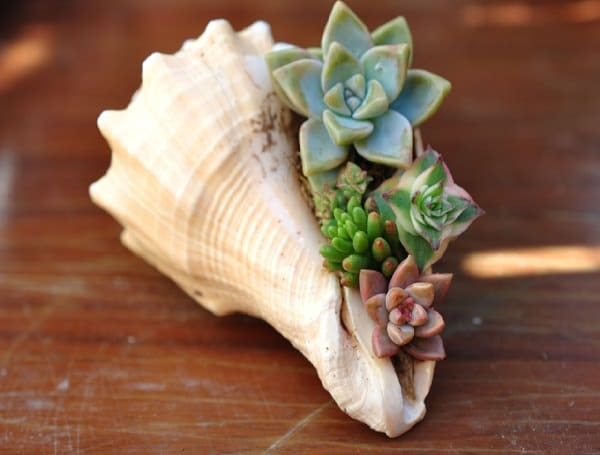 Succulents planted in a shell and covered with pebbles to decorate it. 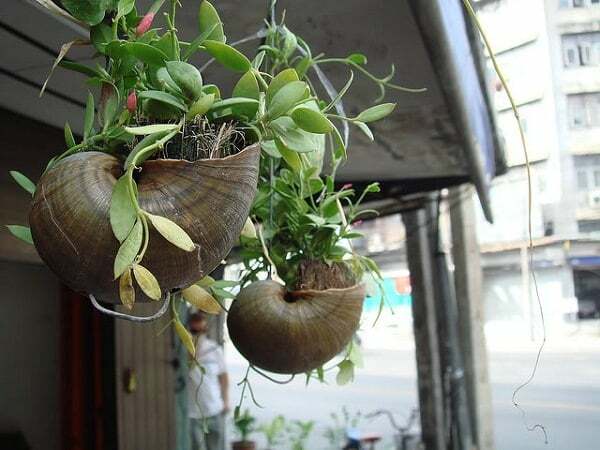 Very large snail shells used as unique hanging planters. 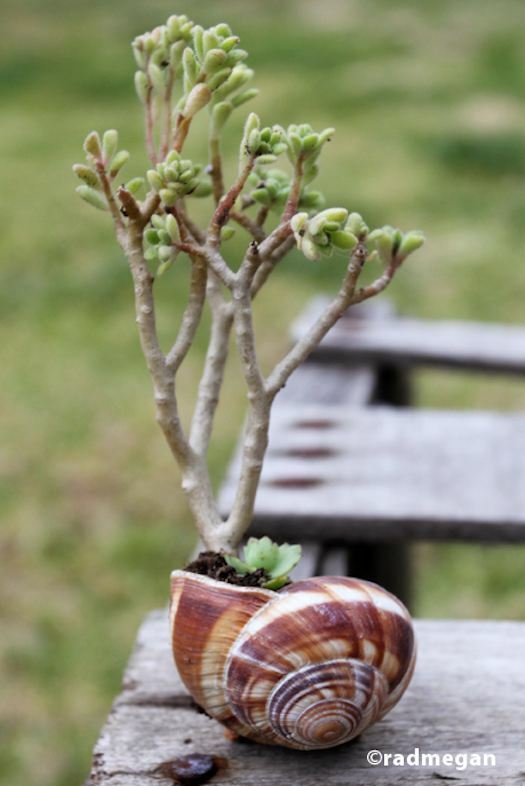 This cool looking shell is used as a planter to grow succulents. 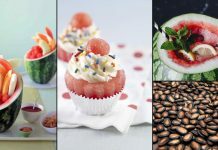 You can see more ideas like that on Radmegan.com. 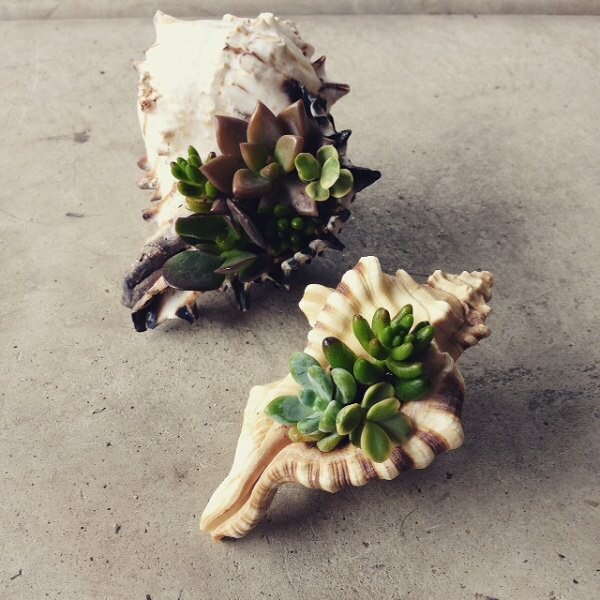 If you have a big conch fill it with a light succulent potting and tuck a few succulents in it. 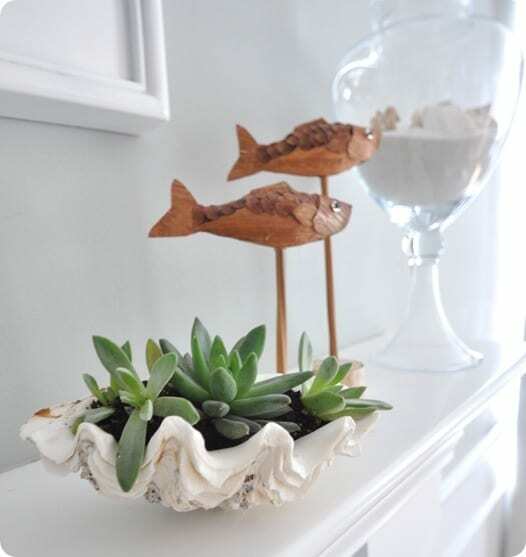 Decorating with shells is a great idea. 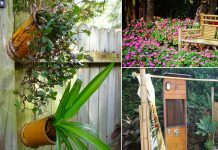 Hang the conch shells and plant trailing succulent in their lip, spray water time to time to keep them growing. 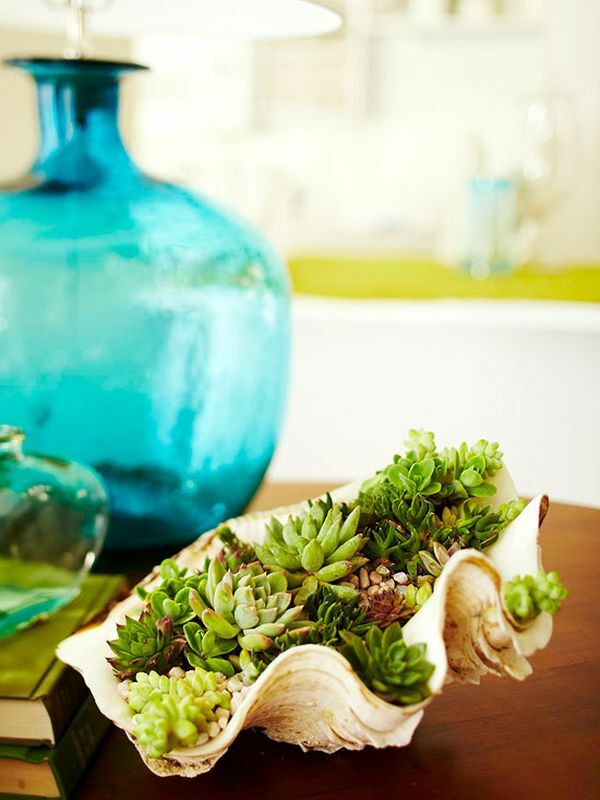 Create great centerpieces for your living room and dining room by growing succulents in beautiful conch shells.